Durban - After a difficult start in the opening four weeks of Super Rugby 2015, the Cell C Sharks struck back with two wins in consecutive weekends, victories that have elevated them into fifth spot on the combined log. 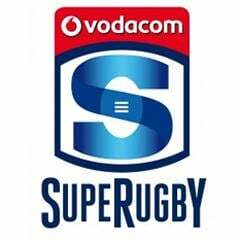 The self-belief and confidence they would have taken from those matches, in particular this past weekend’s win over the Chiefs, bode well, although they know they’re not the finished product yet, having set very high standards, reports Sharks website editor Michael Marnewick. "I feel we are gaining a bit of momentum but we are just going to take it week by week," explains fullback SP Marais. "Although we won this weekend, I wouldn’t say it was a pretty affair, and the two red cards meant that we put ourselves under a lot of pressure. "But we are very happy to have come away with a win. We are super glad but we can’t dwell on it because this weekend is another challenge." After successive wins, the players are under no illusions that the hard work is over. The competition is just over a third of the way through and there are many more challenges that lie ahead of them. "As a team we are striving for excellence so I don’t think we are ever happy with our game – we do set a certain standard that we want to meet week in and week out. 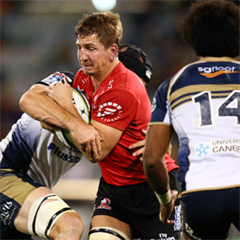 The next challenge is the Western Force, this Saturday at Kings Park and he warns that steady progress over the years has made their opponents a dangerous side. "The Force have definitely improved over the last few years, especially if you take where they started and where they are ten years later,” he says. "They have a good pack and some quick backs and looking at their record in this year’s competition, I don’t think we can take them too lightly, it’s going to be a different challenge and it’s sure to be difficult. "They will play a very different game to the Chiefs and we’re preparing for that. "We’ve done our analysis and I think they will bring a different challenge to the Chiefs – who threw the ball around a lot more. "The Force keep it tight, and as soon as you are sucked in, they take it out wide. We have to be sharp. Despite the expected backline changes, he feels the squad has the depth to take this in their stride. "Everybody trains in different positions so I don’t think it’s a massive thing for us. "We all knew some of the Boks were going to get a chance to rest so it’s not a negative thing for us. "I think some of the guys that are getting game time are grabbing it with both hands – it’s an opportunity for younger guys coming in like Andre and Stefan. "They are both quite keen to take that chance."